Described as a “Schubertian of unfaltering authority and character” by Gramophone, Mr. Wosner continues his career-long, critically acclaimed engagement with composer’s music, including performances of his latest recital series, Schubert: The Great Sonatas. The series comprises Schubert’s last six piano sonatas, highlighting works that Mr. Wosner describes as “thick novels, rich with insight about the human condition.” Recitals take place at the Konzerthaus in Berlin, and include a residency at Cal Performances in Berkeley as well as appearances in Buffalo, Fresno, and Cambridge (MA). In the spring, he brings this series to the recording studio for a new double album on Onyx comprising the composer’s Sonatas in A minor, D. 845; G major, D. 894; C minor, D. 958; and B-flat major, D. 960. With this release, he completes the series of Schubert’s final six sonatas on recording, having released the Sonatas in A major, D. 959 and D major, D. 850 “Gasteiner” on previous albums. Mr. Wosner’s recital repertoire this season also includes works from his latest solo recording, Impromptu (Onyx Classics), which features an eclectic mix of improvisationally inspired works by composers from Beethoven and Schubert to Gershwin and Ives. 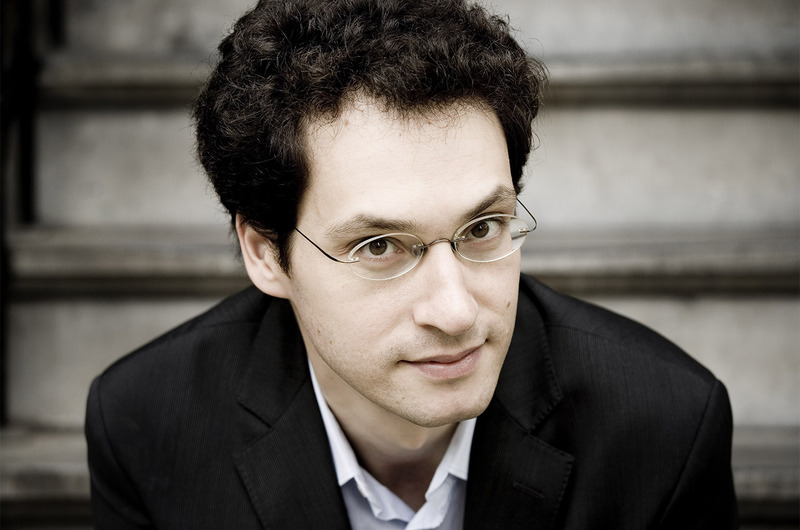 The pieces range from true improvisations to such stylized miniatures as Schubert’s Four Impromptus, D935, and together they reflect Mr. Wosner’s interest in exploring subtle connections between works of contrasting styles and time periods. He performs music from the album at the Chopin Society in St. Paul and elsewhere. Mr. Wosner’s concerto performances this season include appearances with the Detroit and Toronto Symphony Orchestras (Mozart’s Concerto No. 21); the Jerusalem Symphony Orchestra (Brahms’ Concerto No. 2), and Schumann’s Piano Concerto with the Alabama Symphony Orchestra, Musikalische Akademie of the National Theater Orchestra Mannheim, Symphoria (Syracuse), and Wichita Falls Symphony Orchestra. He also embarks on a six-city U.S. tour (including a performance at the Kennedy Center in Washington, DC) playing works for 4-hands and two pianos with longtime friend and collaborator Orion Weiss, on a program pairing works by Schubert and Brahms with David Lang’s companion works gravity and after gravity. Additional chamber music collaborations include performances with the Emerson Quartet presented by the Chamber Music Society of Lincoln Center; New York Philharmonic musicians at David Geffen Hall; cellist Stephen Isserlis and violinist Laura Frautschi as part of Orpheus Chamber Orchestra’s Twilight at Tarisio series, and a program from his Bridge to Beethoven series with violinist Jennifer Koh on Baltimore’s Shriver Hall Concert Series. Mr. Wosner records for Onyx Classics, and his recordings have been widely praised for their inventive pairings of classical and modern masters. In addition to Impromptu, releases include concertos and capriccios by Haydn and Ligeti with the Danish National Symphony conducted by Nicholas Collon, an all-Schubert solo album featuring a selection of the composer’s folk-inspired piano works, solo works by Brahms and Schoenberg, and works by Schubert paired with new works by Missy Mazzoli. Mr. Wosner has also recorded Beethoven’s complete sonatas and variations for cello and piano with Ralph Kirshbaum for Onyx Classics, as well as works by Bartók, Janáček, and Kurtág with violinist Jennifer Koh for Cedille Records. Mr. Wosner is a recipient of Lincoln Center’s Martin E. Segal Award, an Avery Fisher Career Grant, and a Borletti-Buitoni Trust Award—a prize he used to commission Michael Hersch’s concerto Along the Ravines, which he performed with the Seattle Symphony and Deutsche Radio Philharmonie in its world and European premieres. He was in residence with the BBC as a New Generation Artist, during which he appeared frequently with the BBC orchestras, including conducting Mozart concertos from the keyboard with the BBC Scottish Symphony Orchestra. He returned to the BBC Scottish Symphony in both subscription concerts and Proms performances with Donald Runnicles and appeared with the BBC Philharmonic in a live broadcast from Manchester's Bridgewater Hall. As a concerto soloist in the U.S., Mr. Wosner has appeared with the orchestras of Atlanta, Baltimore, Berkeley, Chicago, Cleveland, Dallas, Indianapolis, Los Angeles, Milwaukee, Philadelphia, Pittsburgh, and San Francisco, among others. In addition to the BBC orchestras, he has performed abroad with the Barcelona Symphony, Bournemouth Symphony, Frankfurt Radio Symphony, Gothenburg Symphony, LSO St. Luke’s, National Arts Centre Orchestra, Nieuw Sinfonietta Amsterdam, Orchestre National de Belgique, Staatskapelle Berlin, and the Vienna Philharmonic, among others. Mr. Wosner has also appeared with the Orpheus, St. Paul, and Los Angeles Chamber Orchestras, having conducted the latter from the keyboard in a 2010 concert that was broadcast on American Public Radio. Mr. Wosner has worked with such conductors as Daniel Barenboim, Jiří Bělohlávek, James Conlon, Alan Gilbert, Gunther Herbig, James Judd, Zubin Mehta, Peter Oundjian, Donald Runnicles, Leonard Slatkin, Jeffrey Tate, and Yan Pascal Tortelier, and has performed at summer festivals including the Bowdoin International Music Festival, Chautauqua Music Festival, Bravo! Vail festival, Grand Teton Music Festival, Mainly Mozart Festival in San Diego, Mostly Mozart Festival at Lincoln Center, and Ravinia Festival. For several consecutive summers, he was involved in the West-Eastern Divan Workshop led by Mr. Barenboim and toured as soloist with the West-Eastern Divan Orchestra. Widely sought after by colleagues for his versatility and spirit of partnership, Mr. Wosner has collaborated as a chamber musician with numerous artists, including Martha Argerich, Martin Fröst, Lynn Harrell, Dietrich Henschel, Ralph Kirshbaum, Jennifer Koh, Cho-Liang Lin, Christian Tetzlaff, and Pinchas Zukerman. He has also collaborated with leading chamber ensembles, including the Grammy Award-winning Parker Quartet in The Schubert Effect recital series. Mr. Wosner is a former member of Lincoln Center's Chamber Music Society Two and performs regularly at various chamber music festivals, including Chamber Music Northwest in Portland, the Jerusalem Chamber Music Festival, the Oregon Bach Festival, the Piano Aux Jacobins festival in France, and the Santa Fe Chamber Music Festival. Recent chamber music engagements include performances presented by the Internationale Beethovenfeste in Bonn and Kunstfreunde Wiesloch; Beethoven recitals with cellist Ralph Kirshbaum at the Phillips Collection in Washington, D.C., and the Wallis Annenberg Center for the Performing Arts in Beverly Hills, among other venues; a performance of Berg’s Chamber Concerto presented by the Kammerakademie Potsdam; and Bridge to Beethoven recitals with violinist Jennifer Koh. Born in Israel, Mr. Wosner enjoyed a broad musical education from a very early age, studying piano with Opher Brayer and Emanuel Krasovsky, as well as composition, theory, and improvisation with André Hajdu. He later studied at The Juilliard School with Emanuel Ax. Mr. Wosner is on the faculty at the Longy School of Music in Boston. He resides in New York with his wife and two children. For more information on Mr. Wosner, please visit his fan page on Facebook and go to shaiwosner.com.